Everything Audio Network: Speaker Review!Bryston Mini TCompact Stand Speaker:"Bryston Stresses Accuracy In New 3-Way"
"Bryston Stresses Accuracy In New 3-Way"
Noted for its line of audio amplifiers, preamps — and more recently DACs and digital music players, Bryston entered the loudspeaker game in 2013. Judging from the Mini Ts, up for review in this article, the company’s initial foray into transducers products is going well. The Bryston speaker lines includes the T-Series (Model T, Middle T, and Mini T), and A-Series (A1, A2 and A3 and the Mini-A). The individual speakers in each line are mainly different in numbers of drivers and cabinet size to accommodate various listening rooms. Each line also offers matching center channel and subwoofer for multichannel scenarios. 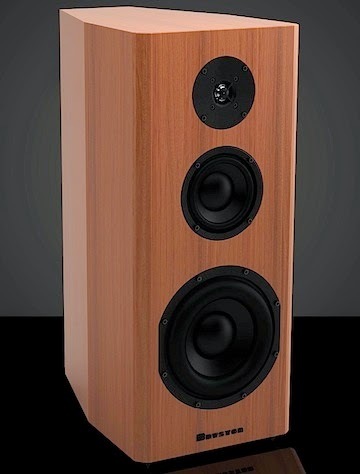 Bryston’s speaker line was spearheaded by long-time VP James Tanner, who brought in a Canadian speaker company, Axiom, to help design the speaker. Designed and tested in anechoic measurement rooms, Tanner says the Bryson speaker line typifies the company's dedication to transducer accuracy. The Mini T is a compact, three-way passive speakers utilizing an 8-inch woofer, 5.25-inch midrange an a 1-inch titanium dome tweeter. 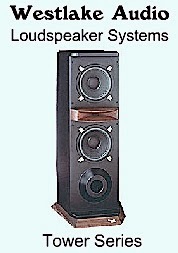 The speakers dimensions are 22.5” H x 10.5” W x 10.0” D. Weight is a reasonable 42 pounds. The MDF cabinet is heavily braced to reduce any excess, accuracy-robbing resonances that can blur midrange and midbass clarity. Whether you are an audiophile, semi-serious home listener, or an uncompromising professional recording engineer who still likes to match his own amp and speakers, the Mini T is a speaker you should consider. The rear-ported cabinet is triangular shaped shape — full width in front, narrow in the back. 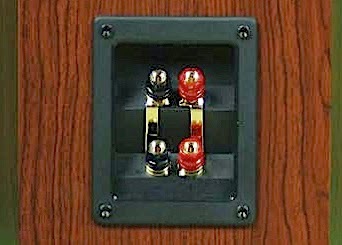 The bi-wireable speaker terminals can handle spades, banana plugs and bare wire cables. The magnetic-attached grill is removable. Standard cabinet finishes include natural cherry, Boston cherry and black ash. The Mini Ts comes with padded feet, and optional spikes are available to decouple the speaker from its mounting surface. Optional custom Bryson stands are also available. Rated specifications includes a 33 Hz to 20 kHz frequency response, +,-3 dB, 86 dB sensitivity (1W, 1meter). The crossovers are centered at 160 Hz and at 2.3 kHz. Nominal impedance is 4 ohms. 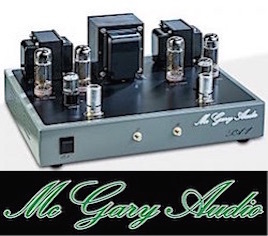 Audition preamps included Coda, Rogue Audio Model 99 Magnum tube pre, and assorted DAC/line stage combos: Benchmark DAC2D, Mytek Stereo192-DSD and Oppo HA-1. I used Wireworld speaker cables and line stage cables for all the speaker/amp/DAC/preamp connections. As per my normal evaluation system, Essential Sound Product’s Essence II power cords and distributor handled the AC duties. 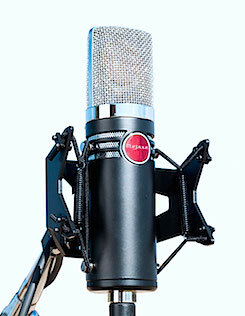 Because of Bryston’s professional audio heritage, I also set up Mini Ts in my home-based recording studio room. Using the Bryston 14B-SST2 amp, an Oppo HA-1 DAC, and a Trident 16T analog mixer, as well as my Macbook ewcording DAW, the Mini Ts became closefield reference monitors for QC checking of direct-to-24-bit acoustic guitar recordings, as well as monitoring EQ mixes via the Trident. In the audiophile room, I Installed the Mini Ts on Apollo metal stands, about seven feet apart. They were angled in a few degrees, and I removed the grills. i did most of my listening with the grills off. In the recprding studio, I set the speakers on Raxcess Stand on either side of the Trident console. First up, I played several SACDs, including Warren Bernhardt — So Real SACD, recorded direct to DSD by Tom Jung in the late 1990s. This piano, drums, and bass drum recording is a showcase case for the natural space of musical instruments, and the hi-res DSD captures all dynamics and detail subtly of room reverb, piano tone, etc. Immediately, I knew the Bryston Mini T’s were my kind of speaker. Starting with the Bryston 14B-SST2 amp, the speakers’ sound was open, with tonally-correct top end, tight bass and a wide soundstage. Dispersion off-axis was impressive as well, as I walked around the speakers. The Mini T pair's aural projection was neither forward or recessed, but a well-balanced mix of midrange and treble with a good dose bottom. As I played various types of hi-res music, the Bryston Mini Ts’ showed themselves to be an “everyman” speaker. It had no trouble handling Rock/Pop, Classical genres, as well as Jazz and Classical and acoustic music. Vocal music, especially female vocalists, were clean with no exaggeration of excessive sibilance. For example, on Linda Ronstadt's “Keep Me from Blowing Away,” from the classic Heart like A Wheel album, now available as a hi-res 24/192 HD Tracks download, Ms. Ronstadt's vocal power came through loud and clear via the Mini T’s. Ditto for Tuck and Patty's - With Love CD. Great vocal delivery, immersed in Tuck Andress' beautiful guitar playing. This CD sound almost 24-bit. As I previously noted, the bass delivery was quite god for a compact monitor. With my RTA and the speakers well away from room boundaries, I measured bass flat to 38 Hz and the character was clean in the 80-Hz to 150 Hz midbass zone; no accuracy-robbing bumps. The hi-res download of The Rolling Stones “Beast of Burden” showcased that bass impression. The intro tom whack from Charlie Watts has enough power through the Mini Ts to give me a bit of hit in the chest. 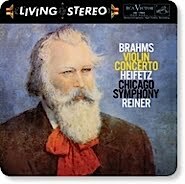 And the Bryston's admirably handled the cannon shots of the classic Telarc recording of Tchaikovsky - 1812 Overture. It did not reveal much sub-30 Hz bass available in the recording, but the audible portions — within the Mini T’s — range were pretty clean. I can’t say enough about the Mini T’s projection of the stereo image. For a small monitor, its ability to fill up small-to-medium rooms is above the norm of a speaker this size; it’s more like a small tower. Versus my the Legacy Studio pair, which is smaller bookshelf speaker, the Mini T has a bit bigger throw. The midrange helps. The Mini T reminded me of my much pricier Westlake LC8.1 stand speakers, but with more bottom end. A smooth, neutral character that lets the music shine through. With its welcome accuracy character, I had no problems integrating the Mini Ts into my home recording rig. I used the speakers as a digital audio recording monitor system for editing and mastering tasks via my Macbook pro DAW. I powered the pro Mini T setup with a Bryston 14B SST2 or a Benchmark AHB2. I also used speakers for real-time monitoring while EQ’ing a series of digital audio dubs, via analog routing. The EQ audio was run through a Trident 16T mixer. One pair of the mixer’s line outputs was fed to the amp, which powered the Mini T's. On the DAW playback, using an Oppo HA-1 DAC/preamp as the line-out to the amp/speakers, I found the Mini T pair's generous helping of accuracy as a dependable tool for hearing the results of my work, My 24/384 acoustic guitar and jazz guitar recordings emerged with a spacious two-track image and lots of detail. No hype in the crossover region and a smoother top-end vs. numerous dedicated powered pro speakers that I have used. The sonic payoff of passive speakers and/separate amp combos was readily apparent. 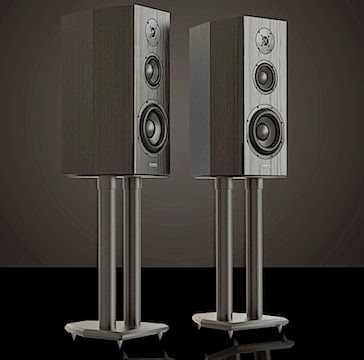 And Bryston’s titanium dome does not exhibit that hard “sizzle” I often hear in lesser metal dome tweeter-speakers supplied in low-end powered monitors. If a professional can look beyond the fact that the speakers need a separate amp, the Mini T is a really good closefield monitor for professionals. This kind of sonic neutrality is what you want in a studio. In my EQ sessions, the Mini T’s easily allowed me to hear the subtle EQ changes that I made in the 2-6 kHz band of a rather dull pop recording I had dubbed. But the bit of presence enhancement added from the Trident mixer’s analog EQ did not emerge from the speakers as harsh or edgy — a trait of of a well-designed speaker. If a professional can look beyond the fact that the speakers need a separate amp, the Mini T is a really good closefield monitor. This kind of sonic neutrality is what you want in a studio, and I have heard many home pro system where the powered speakers were the weak link; that would not be the case with the Bryston Mini Ts and a good amp. Mastering engineers still use passive speakers, and I believe the Mini Ts would be a perfect fit for their audio suites. I had no major complaints with the Mini Ts. There was plenty of space for large wire connections and the bi-wire option. The 86-dB sensitivity is not as high as other speakers as I have tested, but I am sure most people will use amps with plenty of power. Speaking of amps, the Mini Ts match well to most any amplifier design. Obviously, the bipolar output Bryston amps are a natural fit, but other amps work as well. 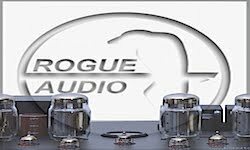 The Rogue Audio hybrid and Benchmark's low-gain/low noise ABH2 bipolar amp stood out for their detail and space impression, but even esoteric amps, such as the Pass Xs-150 and my old tube Mac, made the Brystons sound good. The Bryston Mini T easily exceeded my expectations of the company producing a no-fuss, accurate loudspeaker with smooth clarity and excellent bass for its size. The tweeter is neither dull or sizzly, but exhibits an optimal balance of transient tonality, which contributes to an expansive soundstage for such a compact speaker. And its character was consistent from amp to amp, even with different designs. 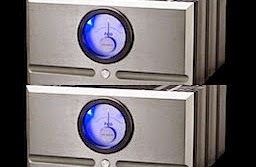 From an old Macintosh Mc275 to Rogue Audio highly recommend tube/digital hybrid and Benchmark’s ultra quiet ABH2, to a pair of $65,000 Pass Labs Super Class A Xs-150s, the Mini Ts always sounded good. Whether you are an audiophile, semi-serious home listener, or an uncompromising professional recording engineer who still likes to match his own amp and speakers, the Mini T is a speaker you should consider. (A pair of the Mini T’s and a Bryston 4B SST2 amplifier would be a perfect combo.) The Bryston Mini-T is definitely an “EAN Stellar Sound Award” winner. I can’t wait to test the bigger models. John Gatski is publisher/owner of the Everything Audio Network. Articles on this site are the copyright of the ©Everything Audio Network. Any unauthorized use, via print or Internet, without written permission is prohibited. Good review John. I absolutely agree with your conclusions about Bryston's Mini T - a powerhouse for a book shelf sized speaker!! I am running the 4BSST2, BDA2, BP20 and using hi res files played back through Audirvana. The mini T's sound completely balanced - and enjoy being played loudly! Love the opening bass line on "The Man in the Long Black Coat" from Dylan's Oh Mercy album. Sooo good. Must be a treat using the Pass amps! Lucky.